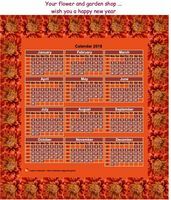 Click on vignette to diplay the annual calendar 2018. Calendar 2018 annual decorative with cats. 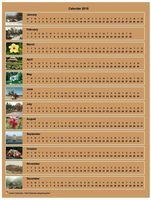 Calendar 2018 annual with dogs. 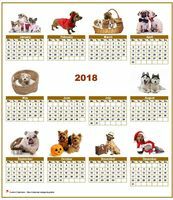 See also: Calendars 2018 of series "Dogs"
2018 annual calendar of style 'Schedule of posts' with photo in the center. Calendar 2018 annual tubes women. See also: Calendars 2018 of series "Tubes women"
Calendar 2018 annual style schedule of posts. Calendar 2018 annual with family photo. 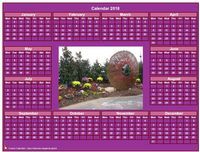 Calendar 2018 annual horizontal with 12 photos. 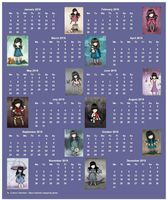 Calendar 2018 annual for primary schools. 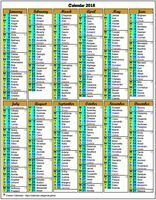 Calendar 2018 to print, annual with name of the saints, format landscape. 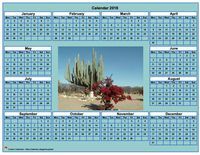 Annual calendar photo 2018 to print, pink background, format landscape, desk or wall. Calendar 2018 annual 3D pell-mell. 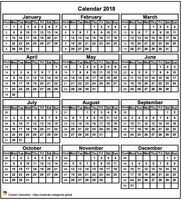 To change the background color of the 2018 annual calendar, click on the 'Calendar' tab. To display or not display the names of saints in the 2018 annual calendar, click on the 'Data' tab. You can even display two, three, or four saints a day. 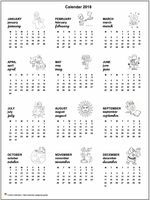 Each sample 2018 annual calendar proposed above is built from a template. 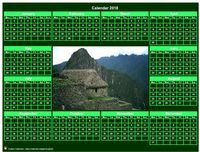 All calendar templates are customizable.